If I read the very blurry schematic in the shop manual correctly, those smaller connectors are for intercom. Intercom?! Now I'm *really* curious. Have a look at pages 56 - 57. Item #27 (bottom of diagram, to the right) is being called an "intercom fitting." Can't say I've ever run across a Piaggio intercom. Hi there, I apologize upfront if this is a ridiculous question but; is the wiring the same on the GTV as the GTS? 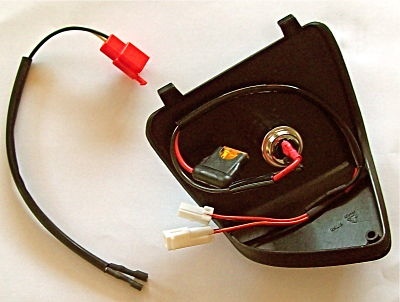 I am planning to do this install on my 2009 GTV with the radio shack piezo buzzer and a Powerlet outlet (radio shack doesn't stock the outlet used in the original install anymore!) I am having a former motorcycle mechanic/ current electrician friend wire this up for me. Anything different that I need to know before my guy gets started? Not a bit ridiculous - especially since I don't know the answer! But my guess is that they are the same. You can check by looking behind your left knee panel. If you have an alarm connector back there, see if the contact arrangement and wire insulation colors match this sketch:GTS250ie : Alarm Connector pin assignments. If they do, then safe to say they are the same. The powerlet outlet is better suited to this application than the old cigar lighter plugs anyway. Very nicely documented. Do you think that this installation of power outlet could help me with "basic needs" like charging my TomTom, mobile phone, or even laptop while riding? Charging those small devices wouldn't draw more than a few hundred milliamps, a little more maybe for the laptop. This would work very well for that. Some guys have mounted the outlet inside their glovebox so the whole business would be closed up while riding. My way to fix the connections and the buzzer with some water protection. GTS 250 i.e. "Silver Bullet"
I just wired up a 12V outlet inside my glove box. Thanks for the instructions! It was super-easy to follow. I just did it on my 2008 GTS 250. I used 20 AWG solid wire from the terminal strip to the alarm connector and that works a whole lot better than the stranded wire. It's in there really nice and tight. I also used the epoxy on the terminal strip itself and things look really clean. Thanks for the super clear instructions! L and R are the left and right turn signals (from the alarm connector); B is brake light; G is ground. EDIT: Humphh - just noticed a mistake. I've got the NO and NC relay terminal labels reversed. The DPDT switch lets you select muted beeper with brake, or no beeper with brake (center off for no beeper at all). Very nice and thank you! 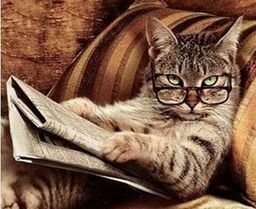 Could I get you to do a wiring diagram without the switch and resistor, just the real bare-bones version for us dummies? Beeper sounds only when brakes are off. Beeper is disabled when brakes are on (stopped at light, etc). I picked up the relay yesterday so I have a little project this weekend! Given the level of expertise displayed on this thread, this is where I should have directed my question. I wanted an outlet on the left kneepad of my GTS 250 to accommodate a battery charger or GPS. The diagram shown on this thread seemed simple enough, but rather than butcher my kneepad, I ordered a kneepad with outlet installed from Motorsports. it arrived with some strange wires and instructions that involved opening up the front of the scooter and snaking wiring in through the frame, plus there's some extra wire that doesn't seem to have any connection to the main unit. MV's solution seemed to be so simple. This isn't. And the instructions don't come with any diagram. Can somebody help this electronic simpleton make sense of this installation? No problem. You're 90% there already. Tie the +12v wire (red, with fuse) to the unswitched +12v contact at the alarm connector, and the other wire to the ground contact at the alarm connector, replace the 5 amp fuse with a 10 amp (or just bypass the silly thing altogether), screw the panel in place, and you are done. - Their outlet ties into the running light circuit, at the horncast light. The running light circuit has very little excess capacity, so the Motorsport unit is fused at 5 amps to prevent overloading the circuit. 5 amps is a real limitation; there's a lot of useful accessories you could power from this outlet that draw more than that, that you just can't use with the Powersport setup. The alarm connector, on the other hand, will safely supply up to 10 amps. 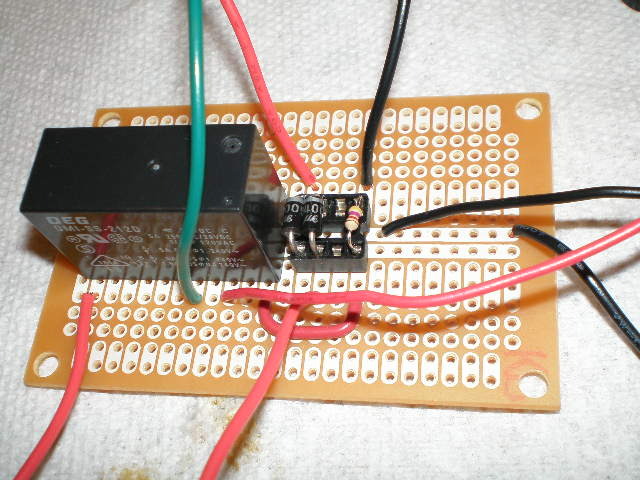 - Also, the running light circuit is switched at the keyswitch, which means you can't use a battery tender at this connector with the keyswitch turned off, through the Powersport setup. I have my battery tender plugged in at this plug (connected through the alarm connector) all the time, and it's really a great convenience to be able to just plug in instead of munging with gator clips or a pigtail. John, thank you so much! Once again, the most straightforward solution is the best solution. I got the relay and wired it in with the coil in series with a brake light switch. (This is on an LX150.) When I engage the brake, I can hear the relay click but the brake light does not come on. Does the coil on the relay not allow enough current to flow through it to light up the brake light? Any ideas? Not as professional as John's but . . .
Re: Rats - Now What? It looks like you've got the relay coil in series with the brake light. That would cause the condition you describe (yes, the relay coil is limiting current to the brake light, but the brake light still gives the low-current relay coil a decent ground). The two should be in parallel. 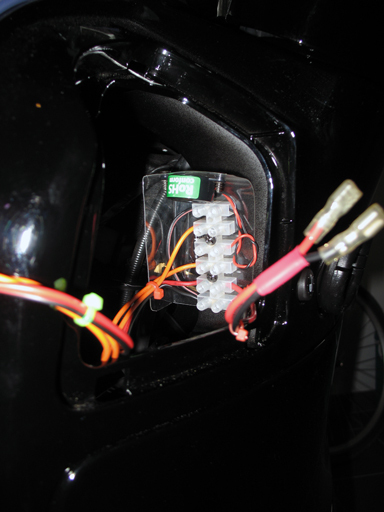 To do that, you'd leave the wiring to the brake light pretty much alone - you'd just "T" off of the wire headed back to the brake light and connect that to one side of the relay coil. 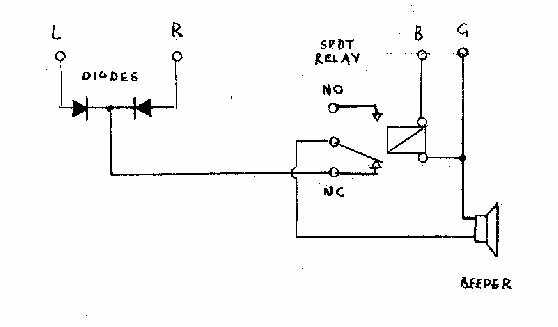 The other side of the relay coil goes straight to ground. 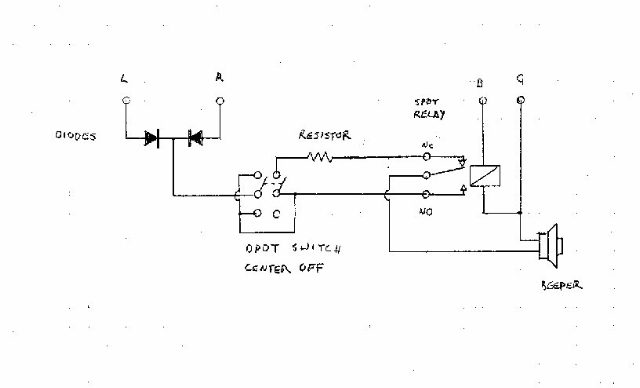 (My sketch shows the coil sharing a ground with the beeper, but they both go directly to ground.) Let me know how that works out. I did as you said and it works great! I tapped into the other wire from the rear brake switch (to power the relay coil) so now when I am stopped I can use the rear brake and silence the buzzer or use the front brake if I want it to keep buzzing! Either way, I get the audible reminder that a turn signal is on after making the turn. 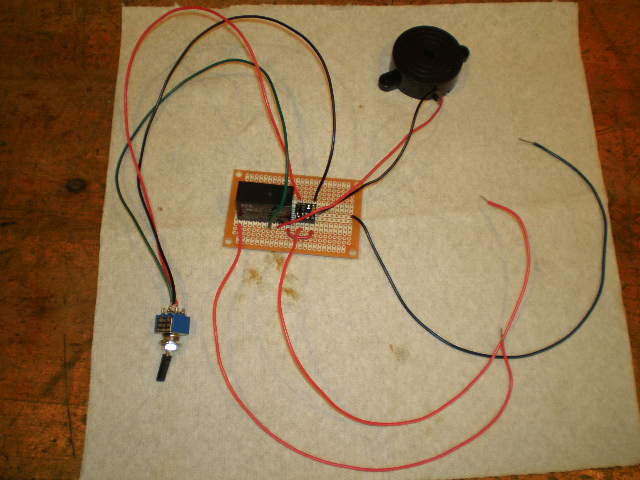 CORRECTION - applying either brake mutes the buzzer. Must be something in the way the brake light switches are wired. Thanks to Cincinnati John's good advice, I successfully hooked up my accessory outlet to the alarm connector under the left kneepad, and the charger is doing its work as we speak. I am, however, wondering if there is a more "elegant" and secure solution to the hook-up than the previously mentioned method of stuffing the tinned wires into the white plastic connector. Is there in fact a male connector specifically intended for the purpose? I'm concerned that the constant vibration and bouncing of the scooter will eventually dislodge my connections. I've tried in vain a couple of times to identify that connector, and if anybody has any info about that, I sure would love to know it. FWIW, I've had this setup for three years and haven't had a peep of trouble. Steve, that sounds right. The front and rear brake light switches are in parallel, so either one would energize the relay (just as either one puts power to the brake light). is that what this 300 power plug adapter, that "will also fit any GTV GTS"
So it would appear - and it should actually fit any Piaggo bike pre-wired for an alarm. Wow - Scooterwest has done a lot with their website since I last looked. Kim, that part does indeed look like a mate to the alarm connector. A call would be in order to ask if the wires go to the switched or unswitched contacts of the scooter's connector (would have to unswitched to use with a battery tender). If the photo is an accurate representation, this part does not have wires going to the turn signal contacts (needed for a beeper). But if a power receptacle is the only thing needed, this could be the ticket. Jim, haven't been here for a while. Good to cross paths with you again. Ah, if only I had known about this part last summer, when I installed my power outlet. My present set-up does work quite well, but it is a jury-rigged solution. I confess, I just 'T' into the necessary wires if I use the ones on that connector. This means any user after me can still fit an alarm if they wish (no point in fitting any for me though). easy conection of power adapter etc. That's what I used on my 250 and now on the 300. T connections with crimp-on spade connectors, no terminal block. Easy and works great for power adapter and TS beeper. Great write up John, THANKS! Even a rather unskilled newb like myself was able to use these instructions thanks to the kind assistance of Cincinnati John! I was less concerned about the 12v power adapter and more immediately needing the safety mod of the louder beeper. No holes cut, no internal wires spliced, I have simply closed up the kneepad with buzzer and terminal strip tucked inside and finding that sound sufficient reminder of signal on mode...PLENTY loud using the buzzer speced out here. To connect wire to Alarm Connecter, I used the spade-type crimp terminals suggested, but cut off half of the U-Shape. The remaining prong fits cleanly and snugly into pin slots on the white connector. Brilliant! Why didn't I think of that?! 20,000 reads and still kickin'! What do you mean by "cut off the half of the U-shape. The remaining Prong fits cleanly and snugly into pin slots on the white connector." Could you add a photo or two, so I can understand what you mean by this? 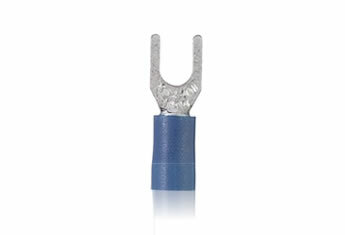 That would be one of these, a spade-type crimp terminal. Any Radio Shack or hardware store will have 'em. You'll need a crimping tool to connect the wire to the terminal. Cut off one side of the "U", and the remaining side will slip into the scooter's alarm connector.